"We have always had a passionate interest in organic farming and horses, so we looked for a beautiful place where we could live, bring up our children and pursue our interests." • and we really enjoy looking after and having fun with our Catria horses which safely take us on marvellous excursions. We have always had a passionate interest in organic farming and horses, so we looked for a beautiful place where we could live, bring up our children and pursue our interests. 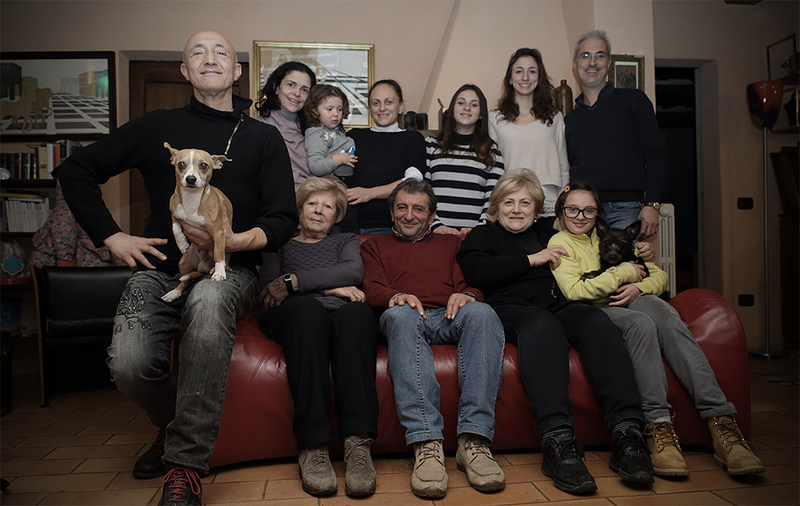 In 2000 we acquired a small farm with a derelict house and after five years’ work, the stalls and farmhouse became the Casa Gialla (“Yellow House”), where we now live, while the hayshed was converted into the Casa Rossa (“Red House”) with two apartments, Lavinia and Maria Sole, reserved for guests. Having thoroughly enjoyed the experience of welcoming visitors and our relationships with our guests, we decided to persevere with a project for eco-sustainable high-quality tourism. So in 2009 we began to convert a late 19th-century brick furnace, which had been abandoned and overrun with briars, situated on a plot of land not far from the Casa Gialla. In 2012 we inaugurated 4 splendid apartments for our guests: Asia, Viola, Rosa and Iris. Equipped with all mod cons, they have elegant furnishings and broad verandas with sun shades, where you can rest, read or simply chill out. In our life project, ecology and environmental sustainability are important values and that is why we have refurbished all the apartments using eco-friendly building techniques with natural materials and paints. We have adopted systems for saving water and the natural treatment of waste waters, while we produce electric energy with photovoltaic equipment.